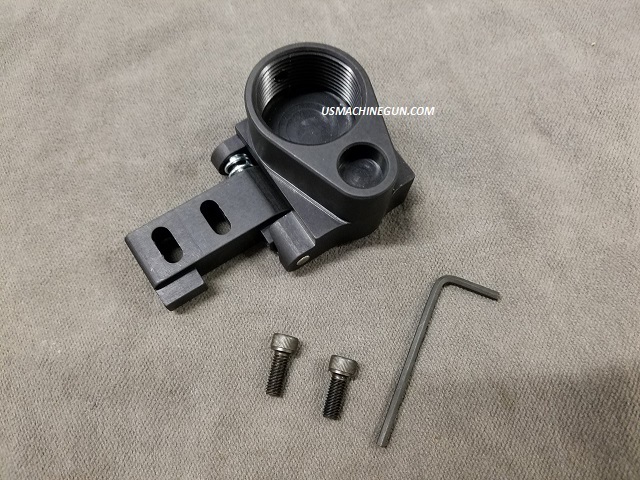 This flat mount adapter can mount to any firearm that has two 10/32 mounting holes. With this adapter you will be able to thread on any Mil Spec or Commercial AR rear stock, Arm Brace or ATF Approved Blade. Upgraded folding adapter offers upgraded machined parts, machined improved locking buffer tube slot to prevent turning, upgraded stiffer hinge spring, improved locking hinge, locks open and closed, machined threaded set screw, slimmer design and harder coating.